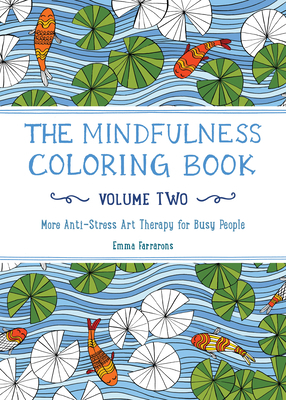 In The Mindfulness Coloring Book, an international bestseller, illustrator Emma Farrarons invited busy people everywhere to relax and re-center by coloring in her delightful, hand-drawn scenes. Now, with The Mindfulness Coloring Book—Volume Two, Emma shares 100 pages of all-new designs that will inspire you to cultivate mindful focus—simply by coloring! Here are intricate geometric patterns, flowers, and friendly squirrels—plus owls, charming knickknacks, a surprise pineapple, and more. This travel-size book is the perfect antidote to too much screen time. Find whimsy—and mindfulness—wherever you are!